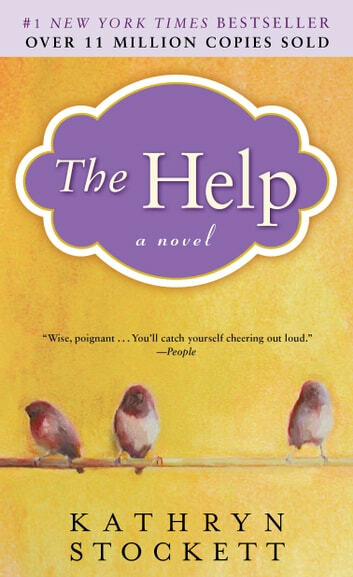 The #1 New York Times bestselling novel and basis for the Academy Award-winning film—a timeless and universal story about the lines we abide by, and the ones we don’t—nominated as one of America’s best-loved novels by PBS’s The Great American Read. Aibileen is a black maid in 1962 Jackson, Mississippi, who’s always taken orders quietly, but lately she’s unable to hold her bitterness back. Her friend Minny has never held her tongue but now must somehow keep secrets about her employer that leave her speechless. White socialite Skeeter just graduated college. She’s full of ambition, but without a husband, she’s considered a failure. Loved this book! I couldn't put it down! Made me laugh & cry...you find yourself getting so involved with the characters. A must read for everyone - was very enlightening, really made me stop and be grateful for our freedoms today. This book was an amazing. 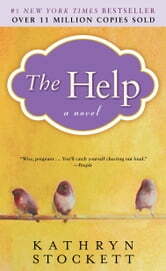 Kathryn Stockett wrote such an insightful, moving novel. It was incredibly hard not to become attached to her characters. Worth the read! Great book. Way better than the movie. This book is about segregation in the South, particularly the life of domestic servants. It is also about standing up for what you believe in, the challenges of family and relationships, and the power of writing. Great book and on usual, much more informative than the movie. Easy to read and envision the stories as they unfold. You truly get lost in the lives of each of the characters.